Improve the look of your semi truck shifter with these accessories. 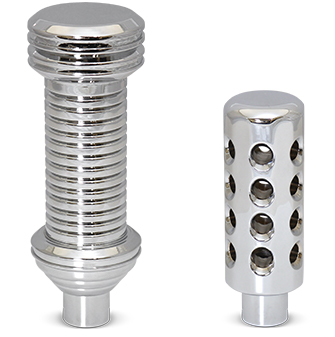 Both are machined from aluminum and then chrome-plated for a mirror-shine. Chrome plated CNC aluminum shifter adapter for trucks using a non-splitter equipped transmission. Adapter does not have a slot for splitter. Fits 7L, 8, 8L, 9 and regular 10 speeds. Easy installation and includes stainless screws. Fits truck shifter knobs with 1/2-13 threaded insert. Direct fit for Eaton Fuller ergonomic sloped-style type handles. 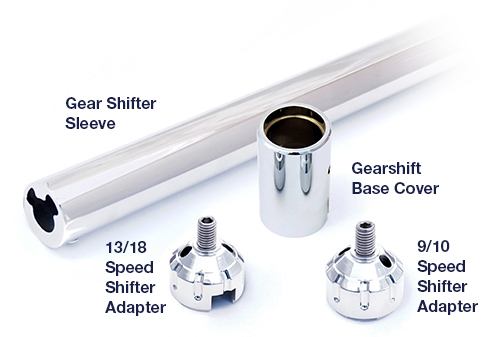 Chrome plated CNC aluminum shifter adapter for trucks using a splitter equipped transmission. Adapter has a slot for splitter. Fits 7LL, 8LL, 9MLL, Super 10, 13, 15 and 18 speeds. Bring big, bold, Chrome plated CNC aluminum to your semi truck interior with a new gear shift base cover. 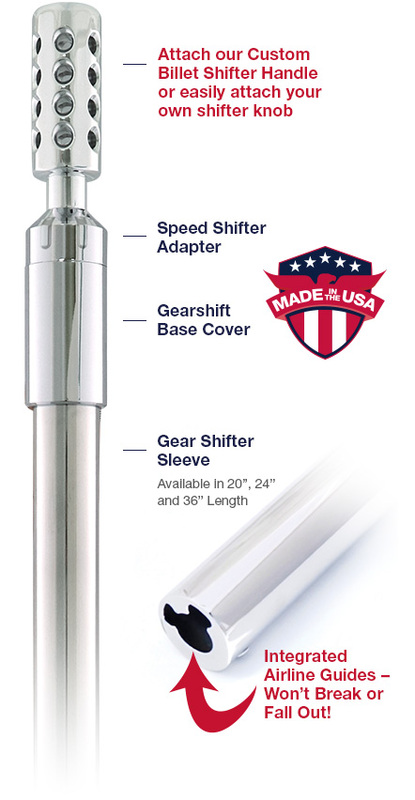 Improve the look of your extended shifter shaft with this polished stainless steel sleeve.